As the days get longer and the sun gets stronger, it’s time to venture outdoors – but is your lawn ready to host all your summer fun? Keeping your landscaping looking its best is no small task, but the latest in sprinkler technology can customize and automate your watering schedule. I’ve compiled a variety of smart sprinkler options so that you can choose the best WiFi sprinkler controller for your needs. 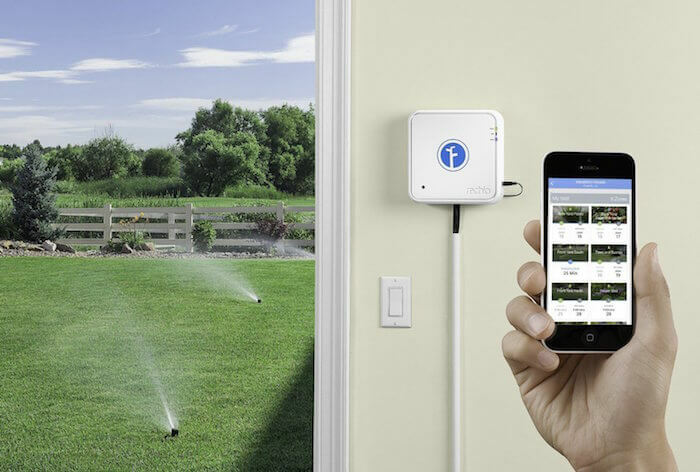 These smart sprinkler controllers reduce water waste and streamline your lawn routine. 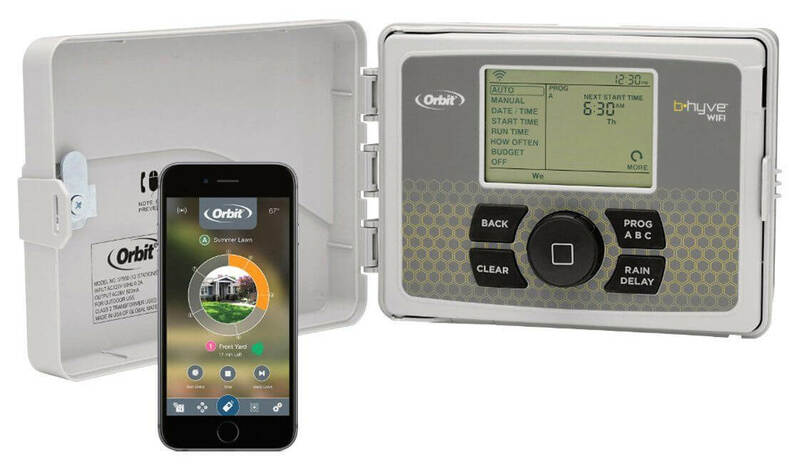 Many of the smart controllers mentioned in this article are EPA WaterSense certified, which means you will save you some green on your water bill and may be eligible for a rebate in your town. But the best WiFi sprinkler controller if you really want to reduce water consumption is RainMachine. Some other smart sprinkler controllers only can claim water savings of 35-50%, but the technology and capabilities of RainMachine allow the manufacturer to claim up to 80% water savings. That is a big reduction in water consumption and earns this unit the top spot. What’s more, the unit doesn’t rely on additions such as catch cups (small plastic cups for catching excess water) to make the most of water savings. This saves you money and extra effort. If you’re looking for an affordable entry point into WiFi sprinkler control and don’t need more than 6 zones, then the B-hyve may be the answer. While this unit doesn’t allow for as many custom options as some of the other units, it does offer “WeatherSense” technology. This controls water usage based on a variety of conditions including: current weather, slope, sun vs shade, and more. It is one of the lowest-priced sprinkler controllers on our list and highly-rated by Amazon users. The B-hyve is compatible with Amazon Echo, so you can integrate nicely into your existing smart home technology. The unit is also made in the U.S. and is EPA WaterSense certified. One thing to note, however, is that for maximum water savings you’ll need to also purchase the Orbit 26250 Sprinkler Catch Cups, adding an additional cost to the unit. However, it still keeps this smart sprinkler solution at a price point well below the competition. Another budget WiFi sprinkler controller to consider is the Blossom. We like its easy installation (no catch cups needed), simple app navigation, and push-to-water function. You can also take photos of different zones and set watering schedules from the pull-down menu for each type of landscape (bushes, flowers, trees, etc.). It’s also is compatible with Amazon Alexa. One thing to note – the Blossom is not EPA WaterSense certified. So be aware that this unit isn’t eligible for a rebate, making the upfront cost potentially on-par with some other sprinkler controllers eligible for the rebate. If you don’t live in an area that is rebate-eligible, then this unit is a great choice for a WiFi sprinkler controller on a budget. 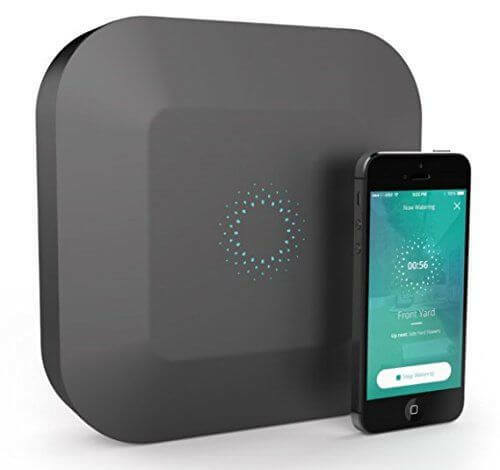 If you’re looking for the smartest one of the bunch, the suite of apps and capabilities that Rachio offers make it the top choice for a WiFi sprinkler controller. It’s connected to the most smart home devices and has a public API, so its integrations are always growing. Rachio integrates with smart home systems like Control4, Wink, Crestron, Alarm.com, Nest, and Nexia. It also can be controlled using Google Home, Amazon Alexa, and IFTTT rules. 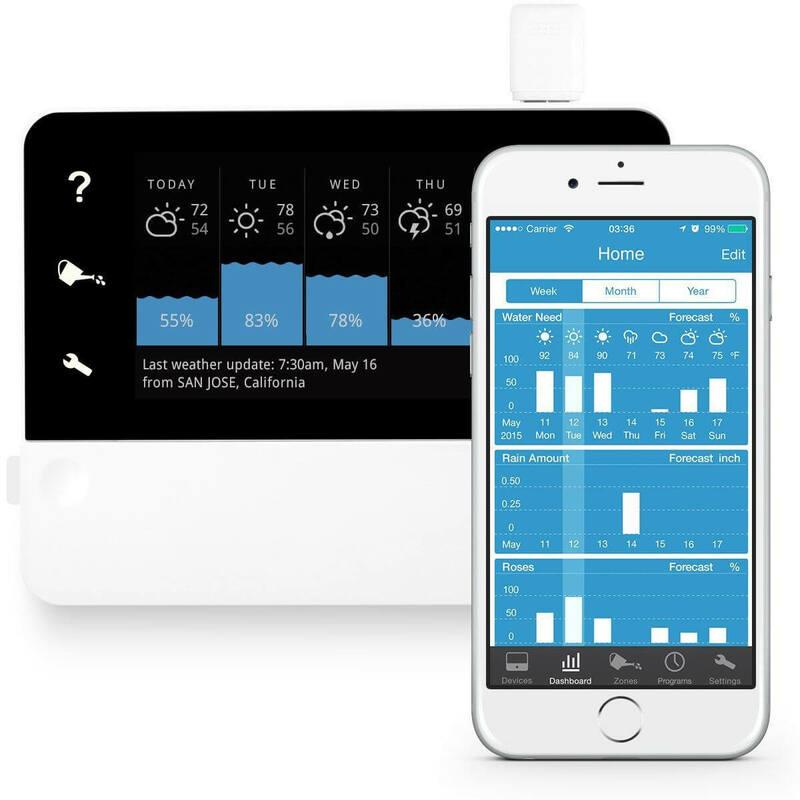 For instance, you can use IFTTT to program Rachio to delay watering till tomorrow if it rains today. If your yard is a work in progress and your landscape zones are growing, then a unit that allows you to add more zones in the future may be a wise investment. The Skydrop offers this sort of versatility. 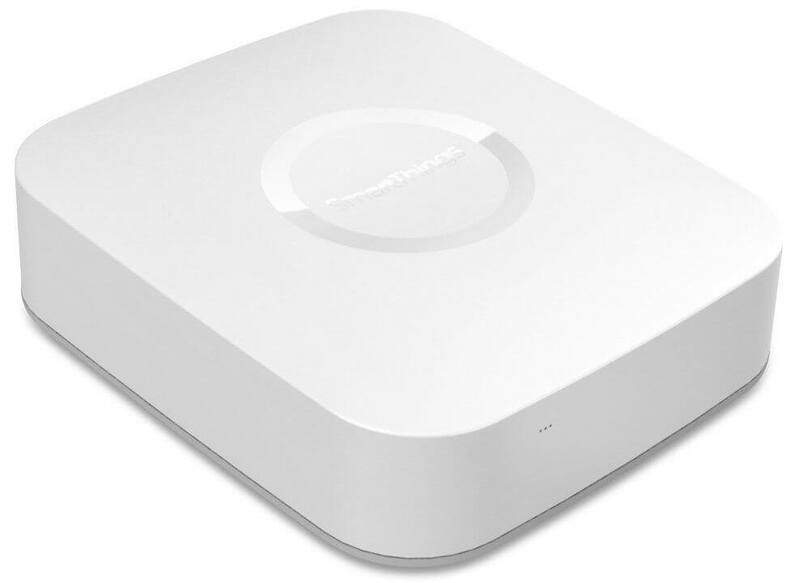 The unit initially comes with 8 zones of coverage, but can handle up to 16 zones with the addition of an expansion module. Additionally, Skydrop is compatible with a variety of smart home systems including Amazon Alexa, Nest, Philips Hue, and other IFTTT systems. 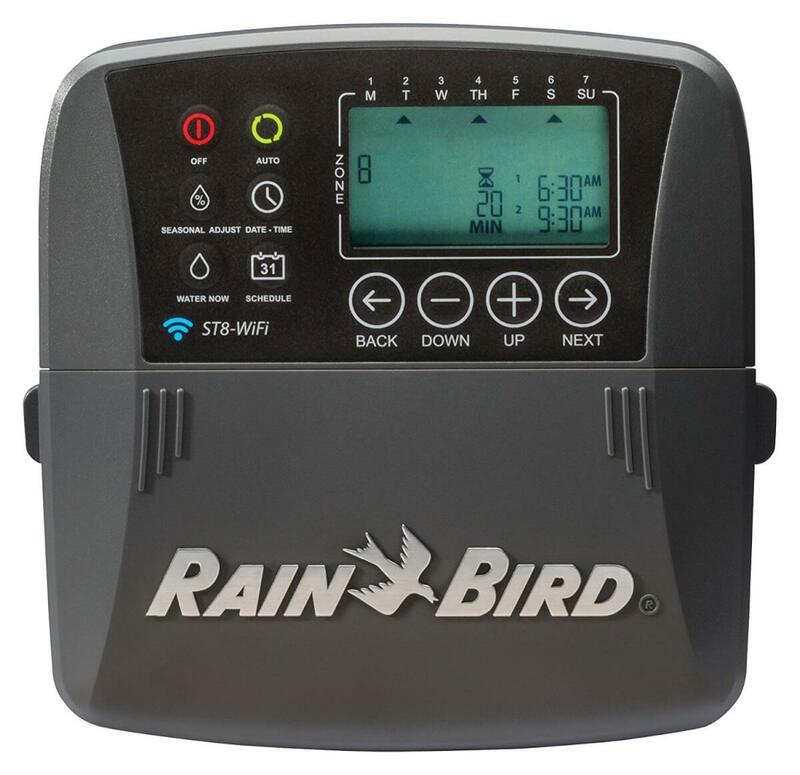 If you’re coming from a traditional sprinkler system and are familiar with the tried-and-true Rain Bird brand, then you may be more apt to switch to the company’s WiFi sprinkler controller. The Rain Bird ST8I doesn’t offer as many tech features or neat integrations, but the unit does allow app access and text notifications. However, it doesn’t require much user interaction and will adjust watering automatically based on the season, temperature, humidity and more. You can also directly adjust programming on the unit controls, or through the app itself, adding a manual option if you don’t want to always use the app. With so many options for smart sprinkler systems, it can be hard to pick just one. There are many efficient and high-functioning units that cater to unique needs and different landscapes. 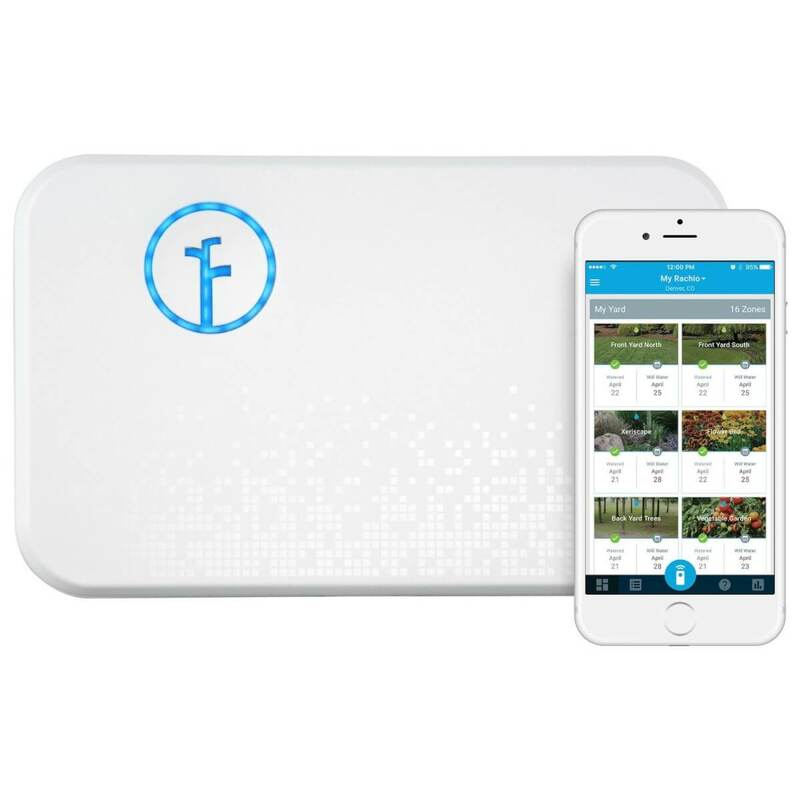 However, our pick for best WiFi sprinkler controller comes down to the unit that offers the best combination of benefits and value: RainMachine. The RainMachine is a pricer unit, but provides an immense amount of value. We especially like the fact that the unit is completely self-reliant and will continue to operate even if the WiFi connection is lost. It also excels in terms of water conservation – with estimated savings as high as 80%. Many individuals looking to install a smart sprinkler system want to save money on their water bill. If that is true for you, then it makes sense to choose a unit with an exceptional rate of water savings. 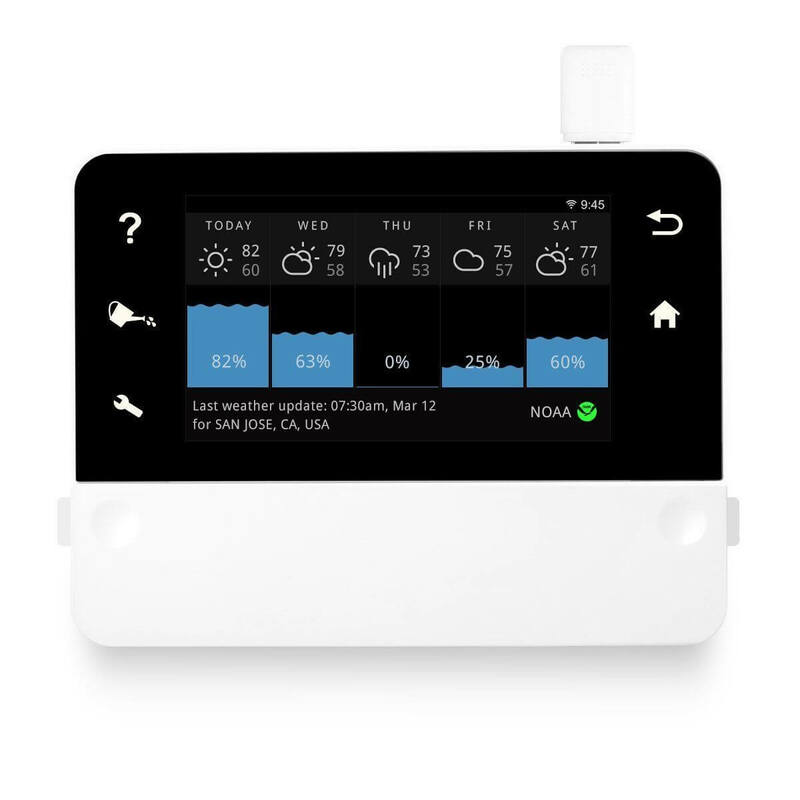 The RainMachine is also packed with the technology to integrate with other smart home gadgets prevalent on the market today – including Amazon Alexa, Nest, Wink, and SmartThings. Set up custom IFTTT applets and watch your unit become your personal lawn caretaker (mowing services not included). If you’re looking for a nitty-gritty breakdown of this unit and two other top mentions from this list, check out our in-depth review of Rachio vs RainMachine vs Skydrop. So say goodbye to crispy blades of grass and hello to a lush, green lawn with one of these WiFi sprinkler controllers. Your lawn and landscape will be looking backyard barbecue-ready all summer long! 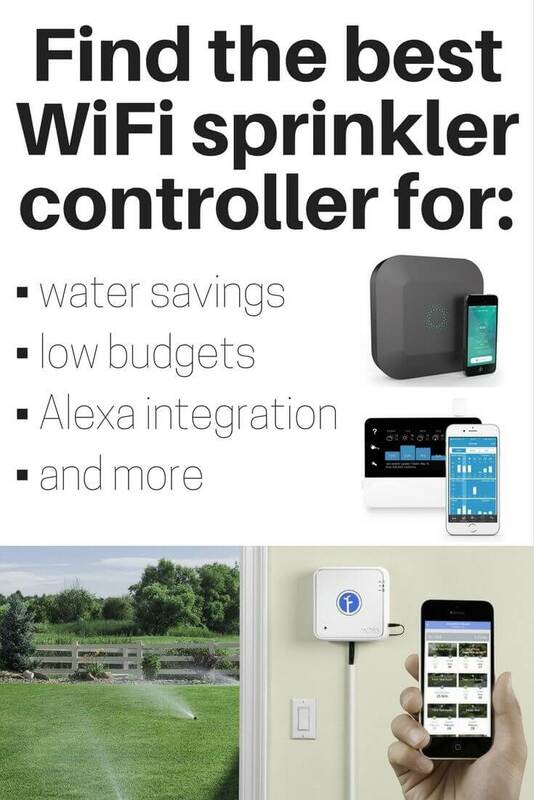 What’s the best WiFi sprinkler controller in your book? Tell us in the comments.